8 Out Of 10 Cats Prefer Donatello! 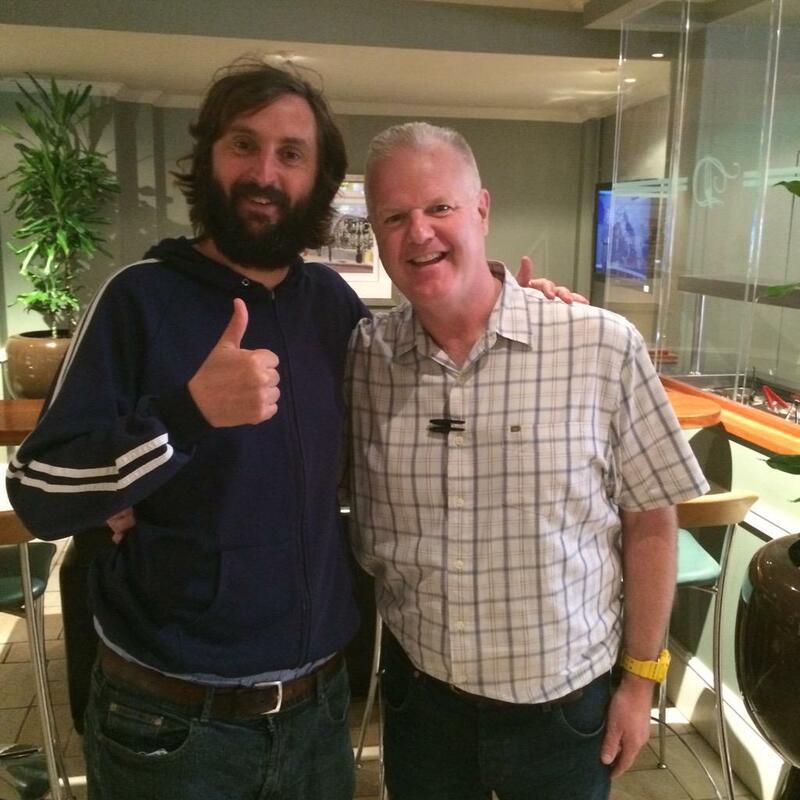 TV Funnyman Joe Wilkinson popped into Donatello over the weekend for a bite to eat. Here he is with our very own Robert, giving a thumbs-up approval to his lunch. The star is probably best known for his cameos as Rachel Riley’s assistant on 8 Out Of 10 Cats Does Countdown, but has also appeared on various comedy shows including Celebrity Squares, Miranda and Russell Howard’s Stand Up Central. Of course, Joe Wilkinson is just the latest in a long line of celebrities to be ‘papped’ by the Donatello snappers; our beautifully appointed restaurant in the heart of Brighton’s Lanes is the perfect place to relax and unwind over delicious, Italian food, award-winning fine wines and great surroundings. Why not pay us a visit and check out all the photos of celebrities that have been to Donatello? There are pictures all over the restaurant of various stars enjoying the Donatello vibe. Hardly surprising when you look at our menu and prices! 2 courses start at just £8.95 per person and this option allows you to choose from a huge variety of dishes from the main menu. Our wine supplier, Eurowines, is owned and run by a member of the Donatello family. Leo Addis has amassed many industry awards for the company’s wines – not least an incredible 3 consecutive wins in the Italian Wine Merchant of the Year category at the annual Sommelier Wine Awards in 2013, 2014 and 2015!